Frank Rarely discusses the implications of Malcolm’s move to clamp down on politicians bonking their staff irrespective of whether it involves rorting their travel expenses. Malcolm’s shock decision to ban sexual relations between federal politicians and their staffers is further confirmation of his view that Canberra is not yet ready for the trouser-less office but it does raise some compelling constitutional issues. For example, will it cause an exodus of politicians to Oxfam? Will politicians who have been in a long-term relationship with a member of their staff be allowed to persist if they bring a note from a psychiatrist, a marriage guidance counsellor or their wife? Social advocates are still unsure whether Malcolm’s initiative is motivated by the need for stronger birth control measures in parliament or his belief that the longstanding rule applied to him by Lucy should apply to everyone else. Some have accused Malcolm of a premature withdrawal without even bothering to consult Fair Work Australia but the reality is no-one is yet sure whether Barnaby is the tip of an iceberg or a sign that the Coalition is on a collision course for a Titanic disaster. Some MPs, however, believe it is crucial that the new Royal Commission debunking banking should avoid debunking bonking. Concern that Malcolm’s initiative will shake parliament to its foundations has been somewhat allayed by a growing realisation that he’s desperately trying to stop the shaking that’s already been going on. There will inevitably be a drastic change in recruitment policies and job descriptions for parliamentary staff. Clearly, the advice from some ministerial advisors has been far too suggestive. 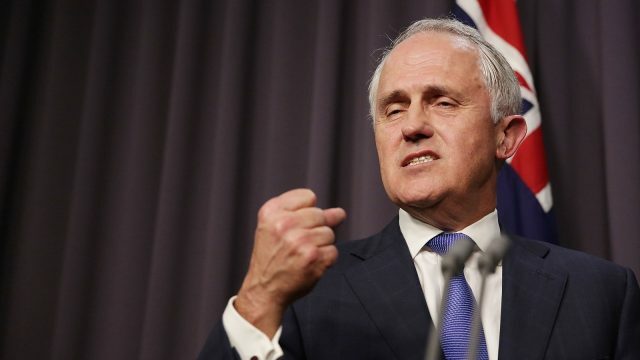 Malcolm is known to favour a switch of emphasis in staff recruitment from polity bonks to policy wonks. Supporters of the status quo point to the standing committee report that concluded what happens in parliament should stay in parliament but they overlooked the fact it was referring to the budget and most of the major legislation. There is considerable concern that Vicky’s experiences could be the catalyst for a new Me Too movement in Canberra and the unmasking of the Harvey Weinstein of Australian politics. There’s even greater concern across the community that Malcolm’s ban will take all the entertainment value out of politics. We’ve already lost Sam Dastyari and Clive and now Barnaby has resigned himself to attending prenatal clinics. Despite all this excitement, however, it’s an incontrovertible truth that the ultimate climax in any politician’s career only happens if he or she makes it into The Lodge.